Renee's BFF, Christina, returns in this second part interview. Also, Renee makes a call to a surprise guest ON THE AIR! Renee has Jesse Miller on the show. Jesse talks a bit about how Renee has affected her life not to mention Jesse's "Friends" like living condition. EP 35: Ashley Lashes Out! EP 34: Are you a Lion, a Gazelle, or a Unicorn? EP 28: My Name is not Thanos! Renee sits with long time friend, "Thanos" to talk about his accomplishments and how things aren't always as they appear to be. Renee brings you the second part of her chat with fellow Entrepreneur Jeff Toldeo! EP 22 - Earth, You're a real Mother! Renee sits down with Deb, her former boss from Maindenform. Deb share parts of her life and will inspire you. Renee explains the differences between Aerial and Trapeze. 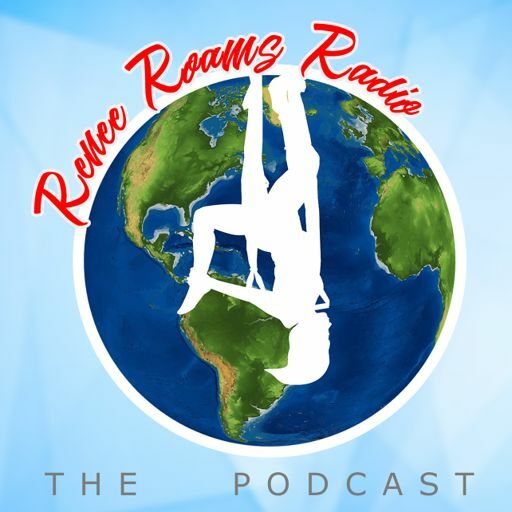 Renee podcasts this week from Costa Rica! In this episode, she reflects on her trip and tells the story of flipping publicly!